The 6700 square foot LiveRoof® Green Roof Features Curved Design, Reflective its Location; Provides Natural Water Pollution Control. 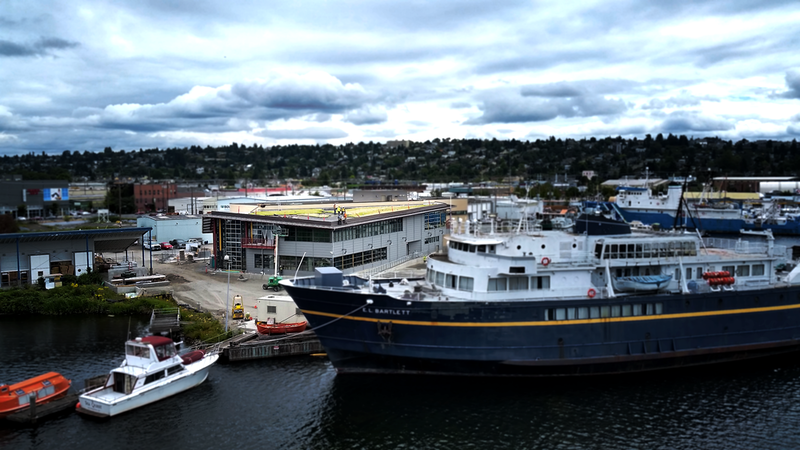 Seattle, WA – The Seattle Maritime Academy (SMA) at Seattle Central College is delivering a smart, new education building to the maritime industry in the Pacific Northwest Region, and it features a 6700 square foot LiveRoof®green roof. The new 24,000 square-foot building is constructed to rigorous sustainability standards, including meeting the City of Seattle’s stormwater management requirements. SMA is applying for Leadership in Energy and Environmental Design or LEED Certification and anticipates earning LEED Silver Certification. It is expected to open in late 2016 on the Ballard campus. Rooftop gardens serve a crucial role in protecting water quality while preventing and controlling pollution to waters throughout the state. The prevegetated roof provides natural benefits, absorbing as much as 90 percent of the rainwater that falls on it, cleaning the air of pollutants and deflecting water from municipal waterways. 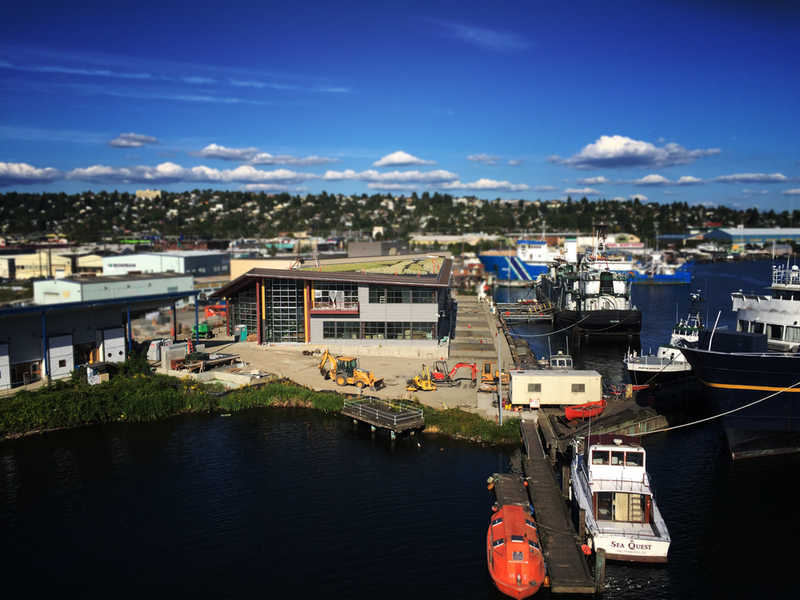 In response to Seattle’s booming Maritime industry, SMA is more than tripling the capacity of its Marine Engineering Technology program. Up to 150 students are expected to enroll in an expanded range of programs. SMA is collaborating with the maritime industry and other maritime training organizations to address a growing labor shortage, hastened by its aging workforce. The SMA living roof also provides natural beauty. The new green roof will feature a softly curved design, reflective of the nearby waterfront and its maritime mission. A colorful mix of fully-grown sedums is sure to prove pleasing-to-the-eye in its prominent location. GreenFeathers, Inc. is working with several local businesses to design and install the green roof at SMA. Controlled Rain, LLC, a full service irrigation and landscape solutions company, will install the green roof at SMA. HBB Landscape Architects designed the vegetated roof, while Schreiber, Starling & Lane is the architect for the SMA building project. The new LiveRoof® green roof covering the Seattle Maritime Academy is a patented, subterranean modular system that unites soil and plants creating a beautiful, meadow-like aesthetic. This green roof is cost effective, providing operational and maintenance cost savings from increased roof life, reduced energy use and stormwater management. The living roof will also reduce noise, protect air quality and provide immediate natural beauty.